In this job oriented course, you will learn many important things related to Basic accounting in a very simple way. Additionally, you will be able to make various reports quickly and precisely. Plus for you and your elders, auditors, bankers and for your tax related work, you can create financial stalk and payroll reports in a least time. 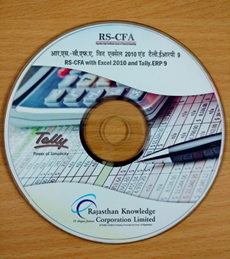 In addition of this we also consist one CD with Tally courseware which teaches you how to work in MS Excel 2010 so as to help you to make Financial Statement presentable. So in personal and professional life, you will be able to confidently handle the accounting related responsibilities as well as chose it as your Professional career. This course also teaches about business management and data management in a very easy way. Concepts and applications of VAT, Service Tax, TDS, TCS and Excise. 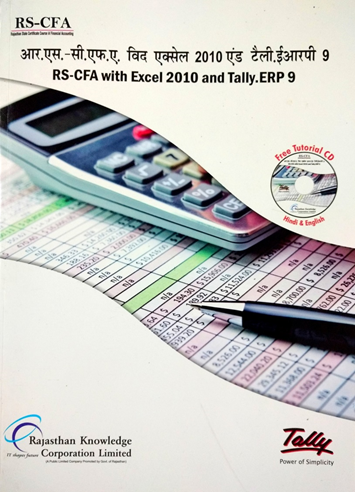 Study Material A comprehensive book in Hindi or English on �Accounting on Computers Tally� including Tally.ERP9 & Excel 2010 along with a tutorial CD.